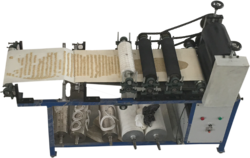 These machines are used extensively to manufacture premium quality MURUKKU, SEVAI, PAPDI, NAMKEEN. Our machine can fitted over frying pan. We offer Namkeen Fryer Machine to our clients. Backed by a great industrial experience, we manufacture, trade and supply a wide assortment of Kitchen and Electronic Equipment in diverse varieties. In addition to this, we render PLC Based Automation Projects for the clients at reasonable prices. We are manufacturing different different types of extuder. Being a customer oriented organization; we are deeply engaged in offering a wide array of Namkeen Mixing Machine.